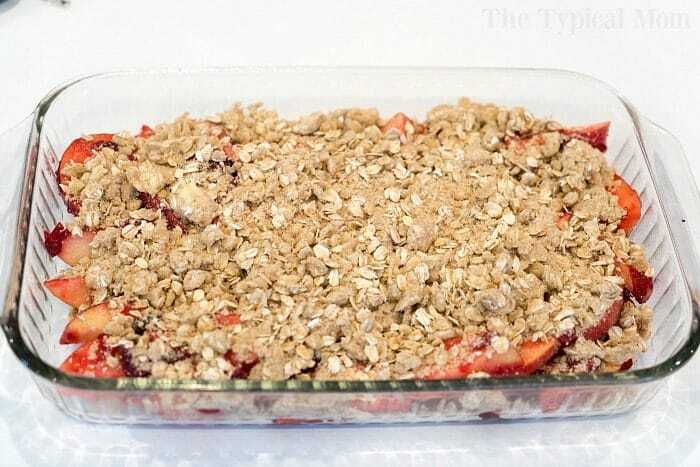 This cranberry apple cobbler is the perfect dessert made with fresh fruit! A great leftover cranberry sauce recipe after the holidays so nothing is wasted! If you love fresh apple desserts but are looking for something a bit different, or need a recipe using leftover cranberry sauce I’ve got it! I used what we had left over to make this cranberry apple cobbler and there were NO leftovers of this to be had. The other day I made Instant Pot cranberry sauce that came out amazing, but we didn’t finish it all so I just had to use it in some way and came up with this idea using fresh apples we had picked recently. We actually picked a massive amount of Fuji apples, 65 lbs. to be exact, so yes I have been apple crazy over here and will be for quite a while. 😉 Lucky y’all!! You need to start by slicing the apples. 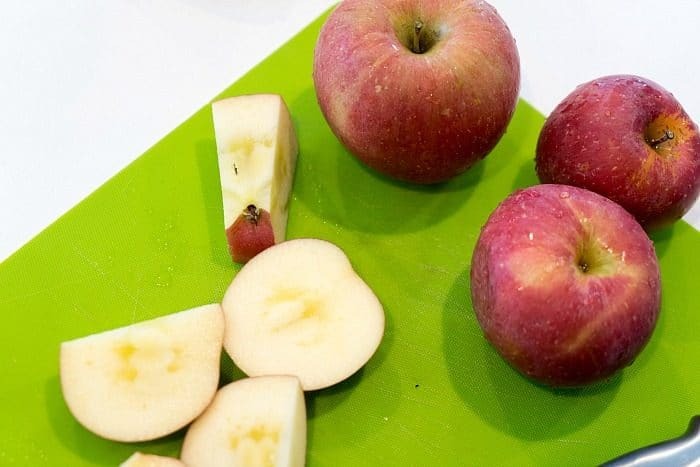 I don’t bother with an apple corer, the easy way to get the job done is just make 4 cuts slicing the sides off of the core like you see here….done! Then I sliced them rather thick because I don’t want mushy apples when my dessert is done, the thinner they are the softer they will get. I prefer fuji but take your pick. 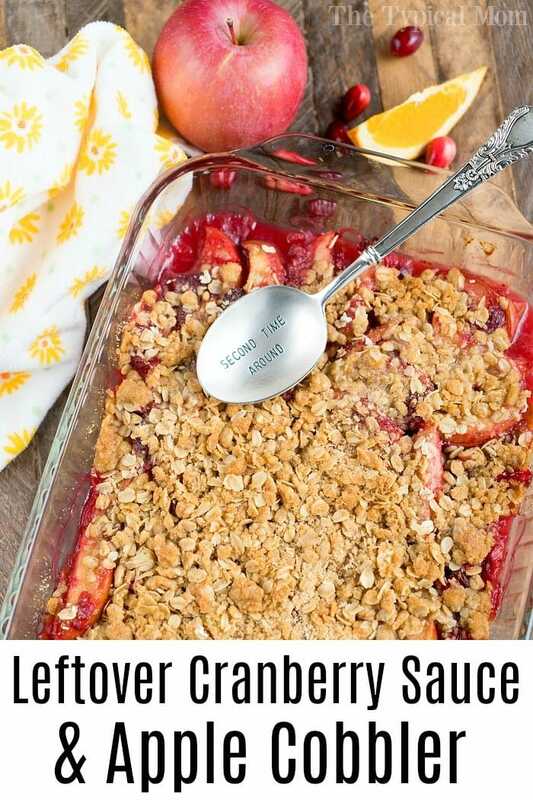 You will need about 1 1/2 cups of fresh cranberry sauce (leftover is fine but NOT jelly version) to make this, you could half this recipe as well if you wanted. 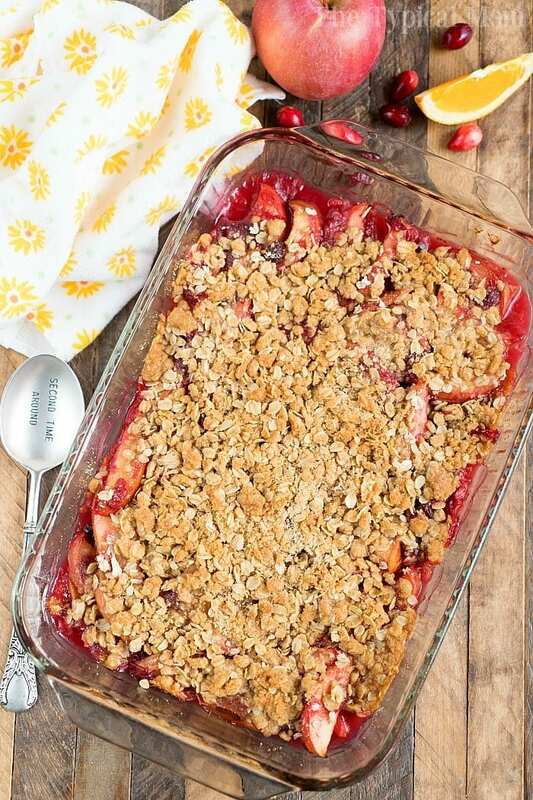 Just toss your freshly sliced apples and leftover cranberry sauce together and then make your cobbler topping. If you have your own topping recipe by all means use that. For the most part you could swap out fruit with any type of crisp, it’s generally just a mixture of oats, brown sugar, flour and butter. I didn’t think it needed anything on top once it was done but feel free to add a dollop of whipped cream or vanilla ice cream. You could make this for the holidays too since cranberry anything goes from about Nov.-Dec.! If you have never made homemade cranberry sauce you have got to try it this year, it is so easy and to be it is nothing like the canned version. 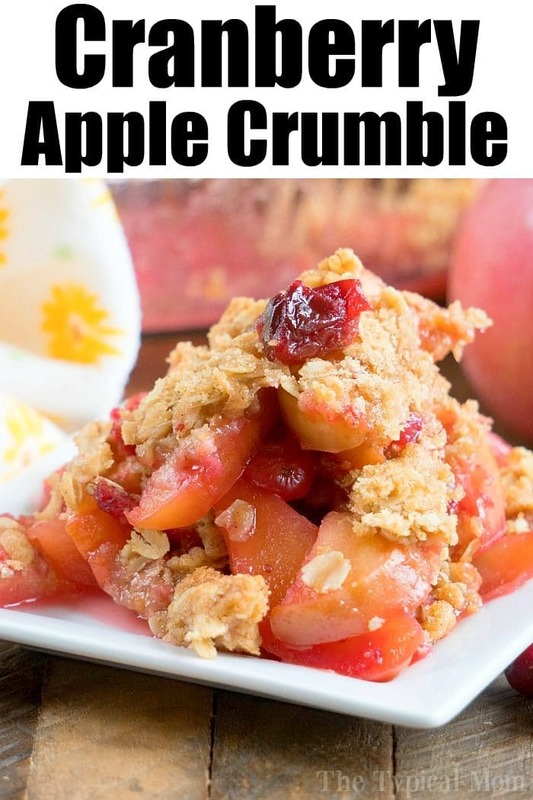 It is so much better with fresh cranberries cooked down with just a touch of sweetness, and then you can control how sweet or tart it turns out too. Like any cobbler or crisp it is not going to come out in a clean nice square piece, it’s meant to be scooped out and OH HOW GOOD it is!! I love fresh fruit desserts because they don’t make me feel nearly as guilty. 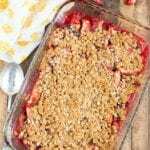 There are very few ingredients in this fruit crisp too which I love, the simpler the better in my book. Looking for more fruit cobbler recipes? Our sparkling cranberry sangria mocktail or cocktail drink is a great pairing during the holidays and our Instant Pot cranberry applesauce is too! Spray a 13x9 pan with non stick spray. Core and slice your apples 1/2" thick or so. Add sliced apples to a bowl with your leftover cranberry sauce. Toss together so apples are coated. Preheat your oven to 350 degrees. Pour apple mixture into your pan. Mix together flour, sugars, cinnamon, oats, and then use a fork to mix butter in with these ingredients so it is mixed together well and clumpy. Spread this oat mixture on top of your apples evenly across the pan. Put in oven at 350 for about 40-45 minutes or until the top crumble is lightly browned. Allow to sit just a bit to thicken up a bit or scoop out immediately and serve.